The 20cm 1/10th scale statue is based on concept art by Dale Keown and sculpted by Junnosuke Abe (RESTORE). 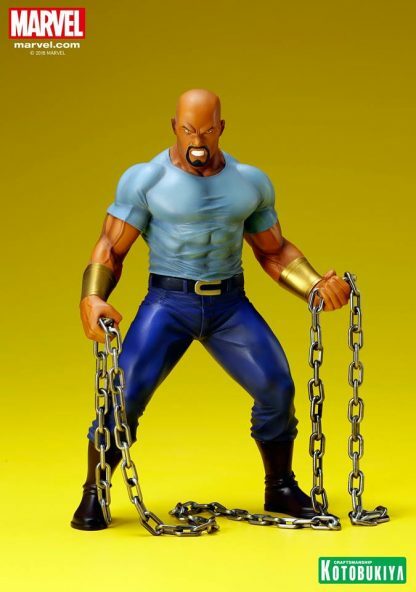 The defender of New York and erstwhile Avengers team leader is depicted in his familiar costume, with the thick chains that evoke the image of his costume from his days as Power Man. Like the other statues in Kotobukiya’s ARTFX+ line, Luke comes with magnets implanted in his feet, allowing you to securely attach him to the included square metal base. 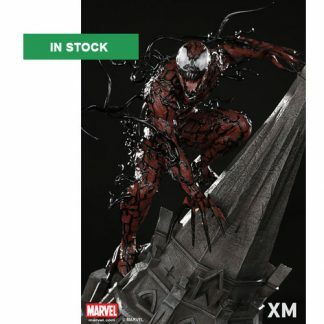 Kotobukiya’s Marvel Comics ARTFX+ Statues have brought you Avengers, X-Men, and most recently Spider-Man and characters from his world, but now we turn our attention to the street-level heroes of the Defenders. Next up in the quartet is the man with superhuman strength and unbreakable skin, LUKE CAGE! Born Carl Lucas, the hero first appeared in 1972 and was a prisoner convicted for a crime he did not commit. 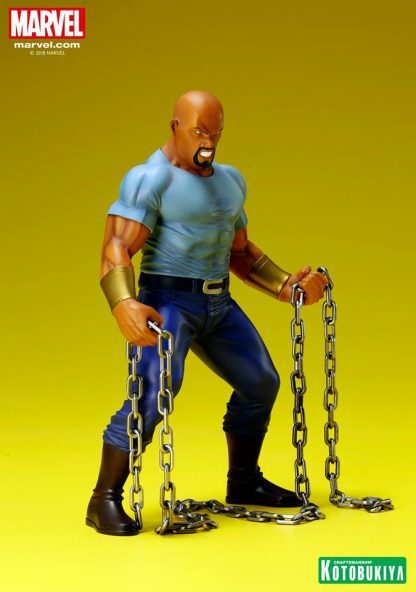 An experiment gave him his superpowers, and he set off on a literal career of heroism as a “Hero for Hire.”Luke Cage has had his big moments, even joining the Avengers and getting his own series on Netflix, and now he powers into the ARTFX+ Statue lineup in a tremendous way based on concept art by Dale Keown! Criminals better watch out, because Luke Cage is on the case! 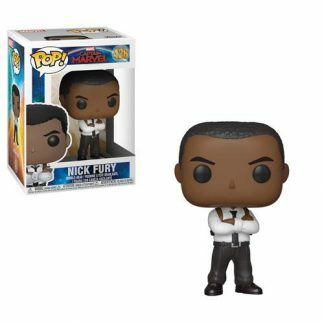 The hero for hire stands ready to dish out justice as only he can, standing in a slight crouch with his legs spread for balance. Luke leans forward slightly and menacingly, with his arms hanging down and ready for action. The Defender is massively muscled and his superhuman physique shows through his casual white t-shirt and blue jeans which he wears with black boots and a belt with a gold “C” logo buckle. 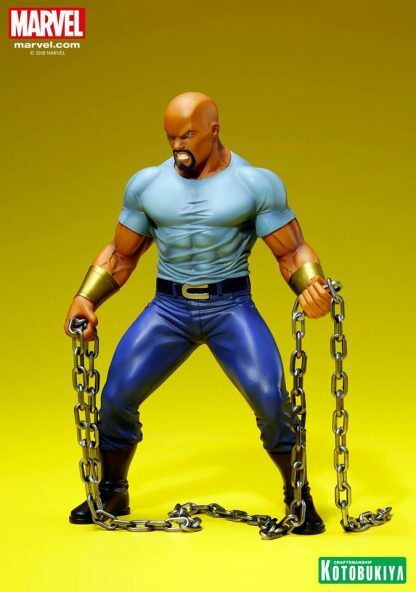 Luke also wears big golden bracelets and carries two lengths of chains that evoke the image of his costume from his days as Power Man! His clenched teeth and scowl are enough to intimidate any criminal, and he looks like he just stepped right out of a comic book. 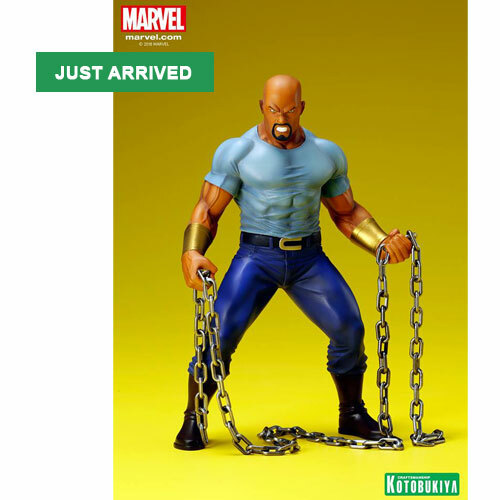 Sculpted by Junnosuke Abe (RESTORE), the master behind all of the Marvel ARTFX+ releases, Luke Cage stands 7 ½ inches tall (1/10th scale) with magnets in his feet providing perfect stability on the included display base. 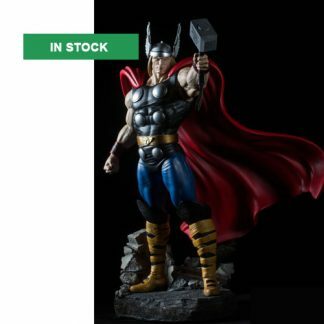 Add this warrior for justice to your display and pair him with other Defenders ARTFX+ Statues Daredevil, Jessica Jones, and Iron Fist!